In the 21st Century there is a hardly a thing in our lives that has not been digitized. Meaning, pretty much anything you previously did by hand and paper can now be accomplished over the internet. Rather than send a letter, we email it. We balance our checkbooks, pay our bills online. Many households, today, are paper-free. There are fewer instances when a hard copy is needed to accomplish something. As the world becomes more streamlined, seemingly more efficient with each year that passes, life appears easier for all concerned parties. Unfortunately, one field that has been slow to go electronic is the health care system. 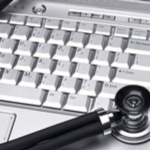 The exchange of health medical records between offices and doctors, is in many cases done electronically. However, communicating between doctor’s offices and federal agencies is in most cases still accomplished manually using mail and fax. This archaic method of communique can significantly impact people’s lives, especially those who are awaiting decisions about Social Security Administration (SSA) benefits programs, such as Social Security Disability Insurance (SSDI) and Supplemental Security Income (SSI). Individuals are often required to wait months for a decision, because of the slow exchange of patient information. The longer one waits, the longer they go without the benefits they need to get by while being unable to work. “Now, here is how the process works: The DDS [Disability Determination Services] sends requests for medical information to the healthcare providers identified by the claimant in the application process. When the DDS receives the medical information, they evaluate it and make the disability determination. In the majority of cases, this is still a manual process that is slow and cumbersome. It takes on average about 90 days to process a claim with most of that time spent waiting for the medical information to be received." “By using Health IT to automate this process, we send an electronic request to the healthcare provider system, and information is returned in a standardized Health IT format within seconds or minutes rather than weeks or months." You can watch a video on how the process works, here. If you or a loved one has been injured recently, or been diagnosed with a debilitating illness, there is a good chance that assistance will be required. The process to apply for benefits can be both time consuming and confusing. And, in the end, you may not get the decision you were looking for. If you have been denied, or are applying for the first time please contact The Driscoll Law Corporation, we can help.